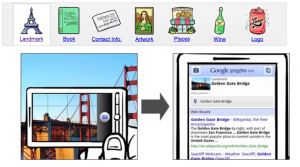 Almost a year ago Google launched Google Goggles, an app for mobile users that allows them to instantly find more information about something simply by taking a picture of it. People have been using this device to look up information on text, landmarks, books, artwork, logos, and contact information. It is a very interesting concept but now Google is taking it a step further. Google is performing their own marketing experiment with 5 brands, Buick, Delta Airlines, Diageo, Disney and T-Mobile. They have teamed up with these companies to bring print ads, movie posters, and other media to life. As seen in one of the promotional videos from Google, users can take a picture from a poster for the movie Tron using their Google Goggles and be taken to a site with the movie trailer. This could be useful if you are going to the movies and see the posters on the wall, but you aren’t sure which one you want to go see. Google’s thinking behind Google Goggles was to allow people to explore the world easier than before. By simply taking a picture of something you can be presented with a bundle of information. They want to bring this theory to brands, advertisements and other media for their marketing experiment. In another video involving Coke Zero, if you use the app to scan the ad, the picture comes to life and you are rewarded with a free drink. 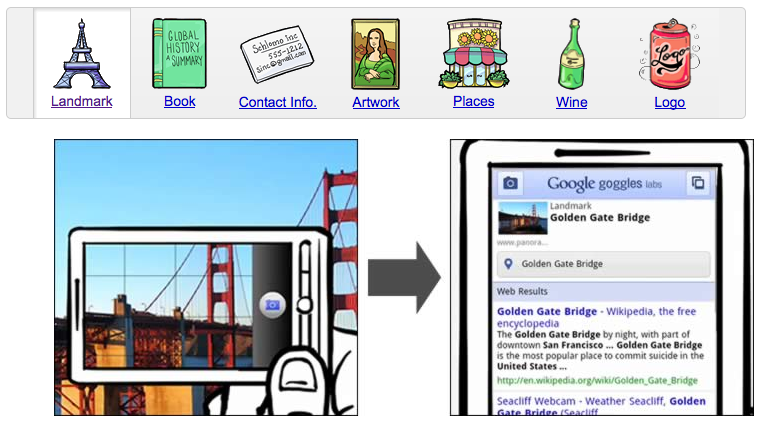 Plenty of new marketing ideas will come to life with Google Goggles, would you do this with one of your brands?